Large picture frame Brentwood XL of the Dutch brand Eichholtz. This frame is available in two more different sizes. 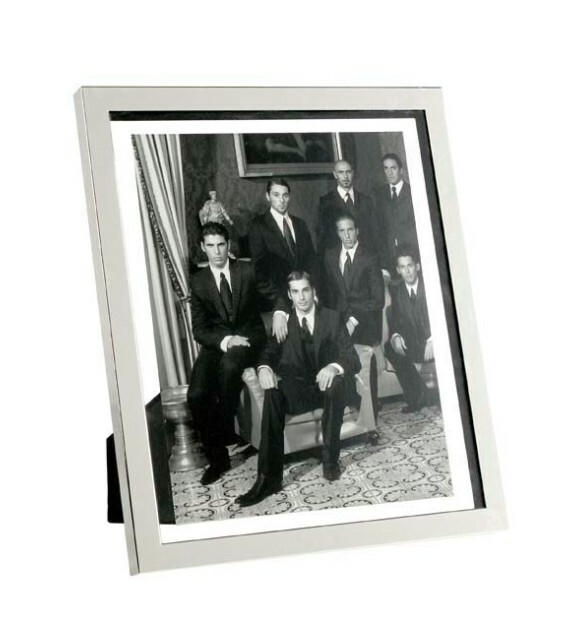 Large picture frame model Brentwood has a slim border made of nickel-plated aluminium. The rest of the frame is fully made of glass, which makes the picture seem to hover above the frame. This way the picture frame looks airy in your interior and it has a modern look! 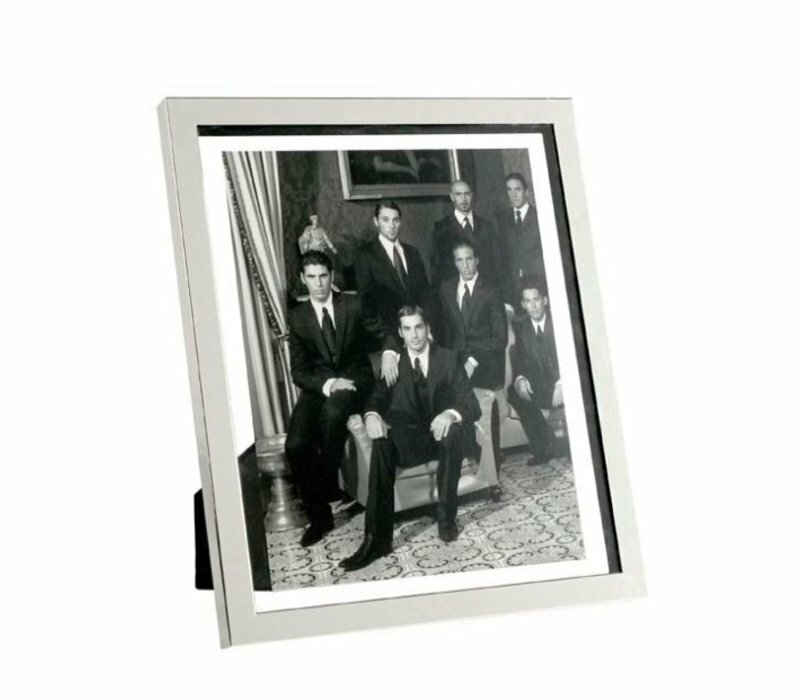 This large picture frame is available in two more different sizes. The frame is of high quality and has a luxurious look. The stand on the back is black. Overall a beautiful picture frame to keep a beautiful memory! You can easily and quickly order picture frames online at WDS. We retail the brand Eichholtz, they have a beautiful collection of picture frames. This brand has its roots in the Netherlands, but has a worldwide reputation in the world of home accessories and exists over twenty years. They stand for high quality, work with luxurious materials and have a very large collection of furniture pieces and home accessories, including picture frames. At WDS you can find picture frames online with a short delivery time. Ideal when you are working on refining your home accessories, or you want to give someone a framed picture of a beautiful memory. Check out the various picture frames online at WDS. Would you like to know more about Eichholtz or are you looking for a specific product? Please contact our customer service through + 31 (0)71-36 485 61 or robin@wilhelminadesigns.com Ordering directly is also possible, use the green button to do so, it takes only 2 minutes! Are you not completely satisfied with your purchase? At WDS you get a 14 day cooling-off period and you can always return for free!